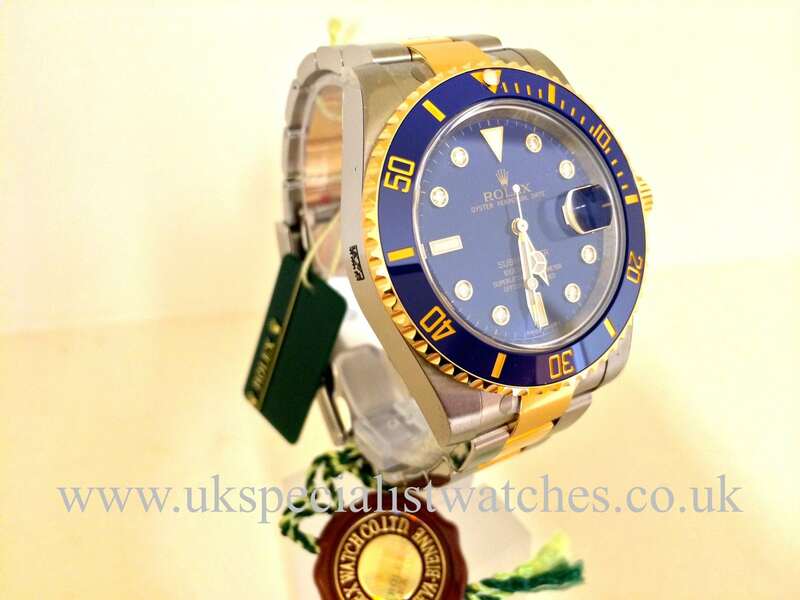 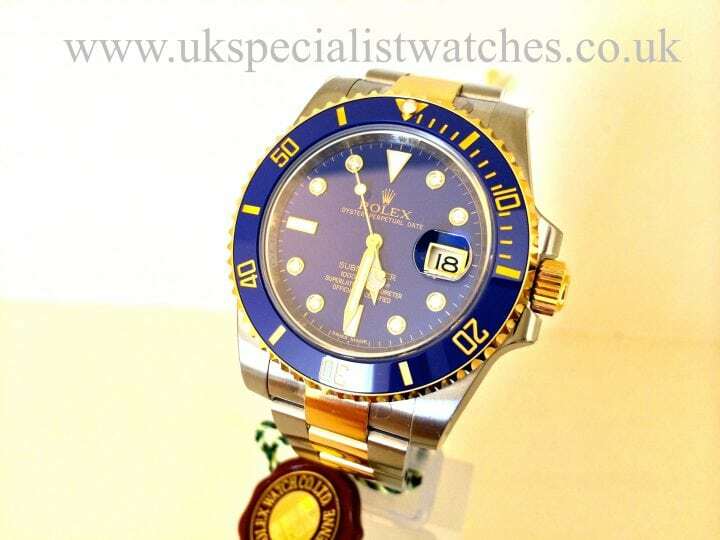 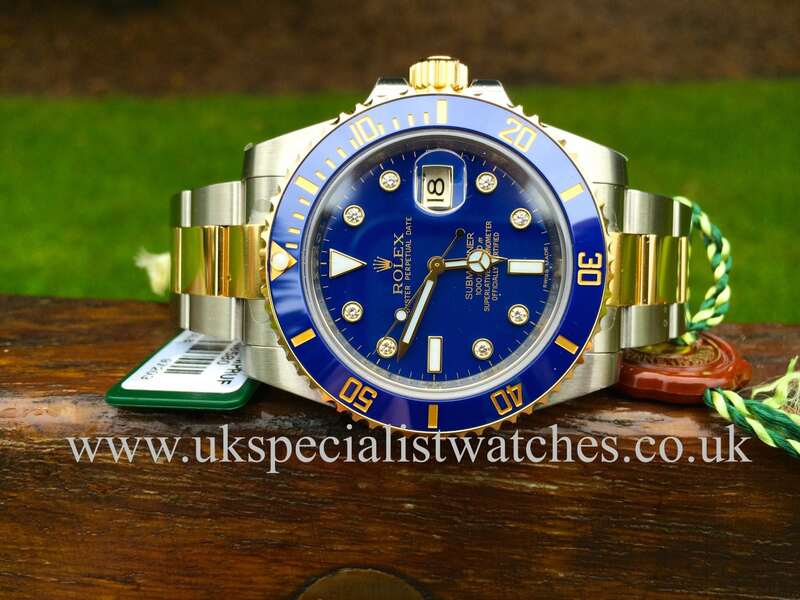 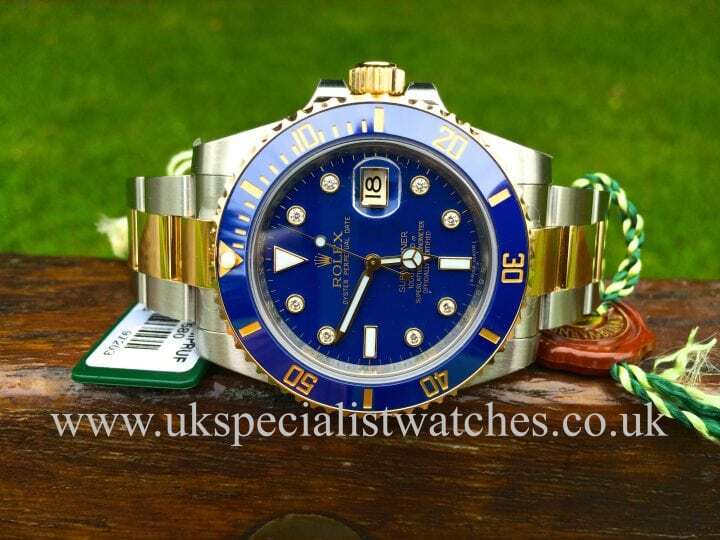 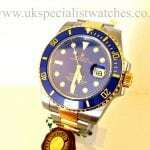 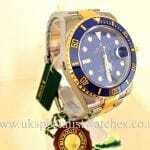 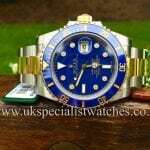 Here we have a unworn example of the latest bi metal Rolex Submariner in stainless steel and 18 ct Gold ,Our watch has a very special electric blue dial with Diamond hour markers. 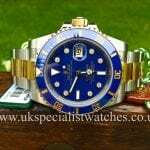 Waterproof to 300meters , this model is probably one of the worlds most desirable Divers watches and with the new model scratch-proof ceramic bezel, sapphire crystal glass and the latest Oyster bracelet with Glidelock clasp. 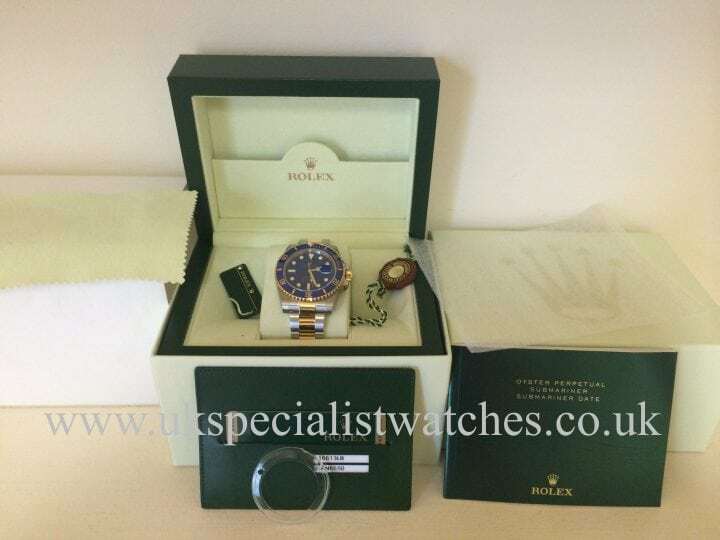 Still with all its original protective stickers in place, complete with its original box,new style warranty card bezel cover and swing tags.this particular model with the diamond dial costs new today over £11200.